A maize farmer and her child in Lesotho. Favorable worldwide conditions for cereal crops will lead to better-than-expected production this growing season at the global level, today said the United Nations Food and Agriculture Organization (FAO). That is despite continuing apprehension over El Niño, growing concerns over a sharp shortfall in maize grown in sub-Saharan Africa, as well as poor production in other food insecure hotspot areas. According to the latest release of the UN agency's monthly Food Price Index and the new edition of the quarterly Crop Prospects and Food Situation report, both issued today, world cereal production this year should amount to 2.5 billion tons. That represents a 1.1 percent decline from the record level in 2014, but an improvement from projections made last month. Meanwhile, the Food Price Index declined 0.9 percent in June compared to May. At 165.1 points, it is now down 21 percent compared to a year ago and at its lowest level since September 2009. The decline mainly came as a result of a drop of 6.6 percent in the price of sugar and of 4.1 percent in the prices of dairy products, which more than offset a rebound in palm oil and wheat quotations. Increasing worldwide demand for livestock feed, especially in Brazil, China and the United States, is supporting prices for coarse grains, including maize. But those global price trends and favorable prospects for world cereal production mask localized hotspots of food insecurity, the report also cautioned. Some 34 countries worldwide, including 28 in Africa – many hosting large numbers of refugees – are in need of external assistance for food, it says. Today's report in particular highlights “alarming” food security conditions in conflict-affected areas of South Sudan, where the number of severely food insecure people has almost doubled to an estimated 4.6 million since the beginning of 2015. Yemen in particular stands out, where of 12.9 million food insecure people about 6.1 million are in “Emergency” Phase, while 6.8 million are in “Crisis” Phase, representing a 21 percent increase over the previous year. Finally, in Asia, a record crop in China and Pakistan is expected to offset declines elsewhere – mainly in India, as a result of a poor wheat harvest. Nepal has seen drops in food production due to earthquake damage, while in the Democratic Republic of Korea, a severe dry spell is expected to result in reduced cereal production in 2015, adds the report. 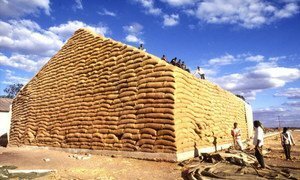 The prices of major food commodities continued their downward trajectory through May as cereal prices dropped amid an increasingly favourable forecast for this year’s harvests, the United Nations Food and Agriculture Organization (FAO) confirmed today.